According to The Bible what came first the chicken or the egg? Be careful with your answer. Get it right and you move forward but a wrong answer could mean the dreaded klaxon and you'll be going backwards! 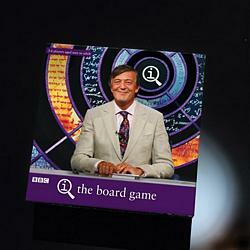 The answer to this and hundreds of other obscure and fascinating facts can be found in this hilarious board game based on the QI television programme!